Congratulations to Lisa Marshall, she is the recipient of the 2019 NC State Outstanding Engagement Award. The Outstanding Extension Awards & Outstanding Engagement Awards are to encourage and recognize members of the faculty & EHRA staff who are nominated and selected by their respective colleagues, schools or units on campus for their outstanding contributions to extension or engagement. The award recipients will become nominees for induction into the Academy of Outstanding Faculty in Extension & Engagement and also be considered to receive an Alumni Award. Lisa is the Director of Outreach, Retention & Engagement, Lecturer & Adviser. 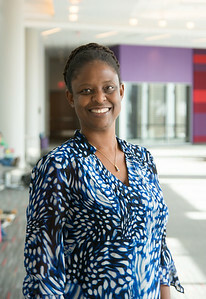 Her relationships in the department, across colleges and universities – internationally and nationally – have benefited prospective, undergraduate & graduate students, educators, the discipline and the public at large as they think about the application of nuclear science and engineering across various industries. Lisa Marshall is a board member of the American Nuclear Society & chair of NC State’s Association of Women Faculty.